In a song from the 80s about the late Baroness Thatcher titled “Margaret on the Guillotine,” Morrissey cries, “When will you die?” I wouldn’t be surprised, if you play the record backwards, that you could faintly make out the date April 8 2013. A lot of conspiracies about playing records backwards involve the devil. 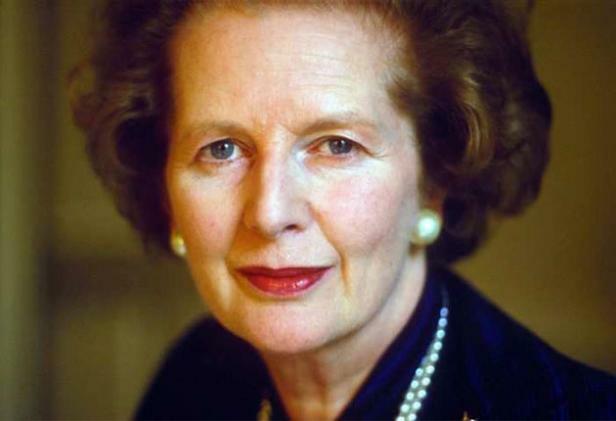 And for many British citizens, Thatcher was not too far off from Lucifer himself. After the announcement that Baroness Thatcher had died, an Internet-lead campaign pushed the Wizard of Oz song “Ding Dong, The Witch Is Dead” to the number two spot in the English charts. The Wicked Witch of the West famously snarled, “I’ll get you my pretty, and your little dog too!” Thatcher never said anything that vicious or cruel. Since she wasn’t an evil witch obsessed with ruby slippers, but a politician, her rhetoric was more insidious. Instead, Thatcher said things like, “Pennies don’t fall from heaven- they have to be earned here on earth,” and “There’s no such thing as society.” Albeit, the latter one could sound more like a friend from high school, who watched Pink Floyd’s The Wall too many times, than a Prime Minister. Nevertheless, she remains a highly influential and controversial figure, so much so that she has even spawned her own ‘ism.’ Her death warrants an important look at her legacy that helps elucidate the current climate of contemporary British and American politics. Thatcherism is virtually synonymous with Reaganism. Both leaders mark an important turn in Anglo-American politics. Reagan and Thatcher spearheaded the neoconservative movement, a sect of politicians that still has enormous influence in the political system of both countries. Since this era, neoliberal policies have become increasingly adopted by Democratic and Labour politicians. Tony Blair, the poster boy for New Labour, showed how Thatcher’s influence went beyond her own party. The U.K.’s current Prime Minister, David Cameron, has been deemed another heir to Thatcher’s policies. Her funeral cost the British government £10 million, a lavish price tag that has been criticized as an attempt by Cameron and the Tories to bolster her tainted image and to justify the continuation of her politics. Whether her administration was supporting the apartheid government in South Africa, fighting striking miners at home (or as she called them the ‘enemy within’), or instigating the Falklands War to stir up British nationalism, Thatcher was a radical that ignored the status quo. As Christopher Hitchens put it, “Detestable though she was, she was a radical and not a reactionary.” Thus, conservatives pine for leaders like her and Reagan. For those who believe that neoliberal, economic policies are laudable, their staunch adherence to privatization and the free market are admirable, while proponents might see these beliefs as a desire to eat poor people. The rise of Thatcher, Reagan, and the neo-cons is closely related to the rise of individualism being championed in political rhetoric. The seventies, the decade before they both came to power, was dubbed the “Me Generation” by author Tom Wolfe. Adopting the tactics of advertising that appeals to me, the special little snowflake who will be happier by buying a lot of stuff, a figure like Thatcher was branded as a certain type of politician. One of her allies was Rupert Murdoch, a connection which symbolizes the shift that Thatcher and Reagan represent. They believed that the individual’s happiness and uniqueness bred a new form of democracy, but critics contend that this was really a cover for the promotion of selfishness and avarice. Reagan’s past as a Hollywood actor helped his campaign project him as a badass cowboy, despite the fact that he regularly showed signs of dementia. The point is that this shift towards politicians that “sell” individualism to the public still operates today. Think of it as the culmination of the Ayn Rand “greed is good” sort of philosophy, as opposed to a more communal ideal that doesn’t stress the individual’s self-interest above all. If you have time to read 1000+ pages of the same idea being repeated over and over again, go pick up Atlas Shrugged. When you’re finished, throw it at a homeless person and tell them to get a job. In short, this is what Thatcher represents, and that is why she such a controversial figure. As Maria Margaronis succinctly observed, “Like her friend Ronald Reagan she was one of those politicians who sums up and seems to embody more than a set of policies: a shift of mood, a zeitgeist, a way of thinking and feeling about social life.” So what you think about Thatcher, as any Brit will tell you, is no trifling matter.